iPads are fun, but they can also be amazingly educational too. Get your child on the road to reading with these fabulously fun reading apps. iPads are rapidly becoming more than a recreational device — in fact, many school districts around the nation are implementing them in the classroom for additional interactive instruction. There are apps that are even targeted to younger kids too, and some that specifically help children learn to read. 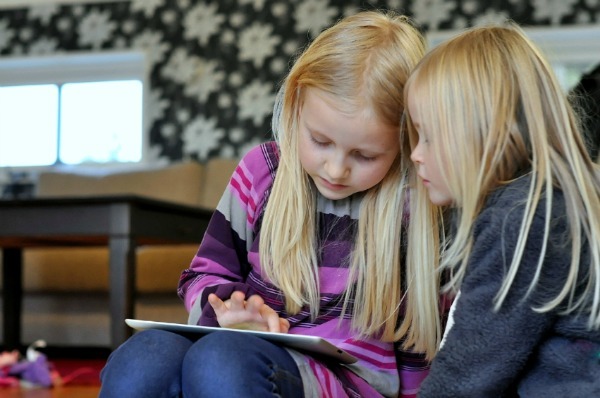 When your kiddo asks for iPad time, you won’t say “no” when you have these apps installed. Stephanie decided to create her own solution to this personal parenting problem. She created Learn with Homer, and the first comprehensive reading app created by literacy experts was born. This brand new app, which is launching August 1, features a friendly pigeon named Homer and his best pals. It is a complete phonics program that keeps learning fun and fresh. 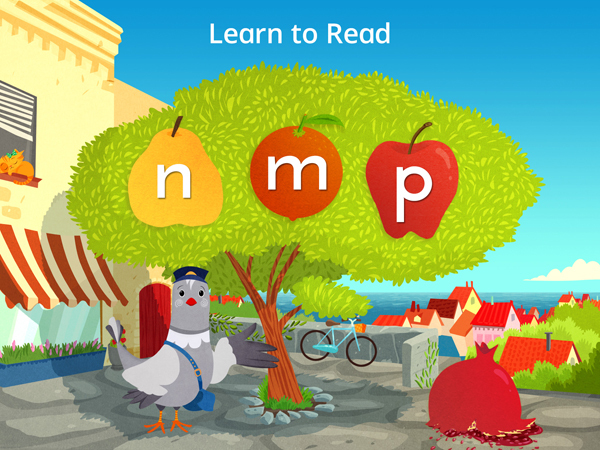 This learning app provides the five pillars of reading: Phonemic awareness, phonics, fluency, vocabulary and comprehension. Your child will be exposed to every sound in the English language over the course of the brightly-illustrated interactive lessons. Learn with Homer really focuses on sounds in fun games and attractively-illustrated stories. The app starts your kiddo off with individual letters and their sounds, and progresses in a natural fashion to blended sounds. The app will help your child use those sounds to form words, and the sounds are reviewed, repeated and revisited to ensure the information is retained. 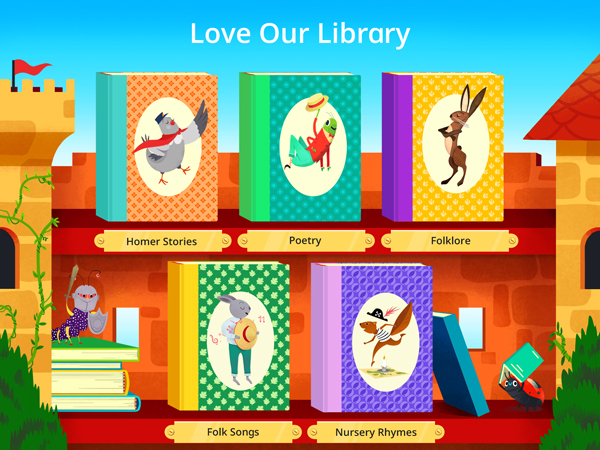 A vast library of stories — ranging from the simple to the complex and advanced — includes many different literary formats, such as short stories, fables, folklore, poems, nursery rhymes and songs. Your child can also “Discover the World” with science field trips that are more than simple trivia exercises — children can explore connections between facts and literature, which can make them better readers. 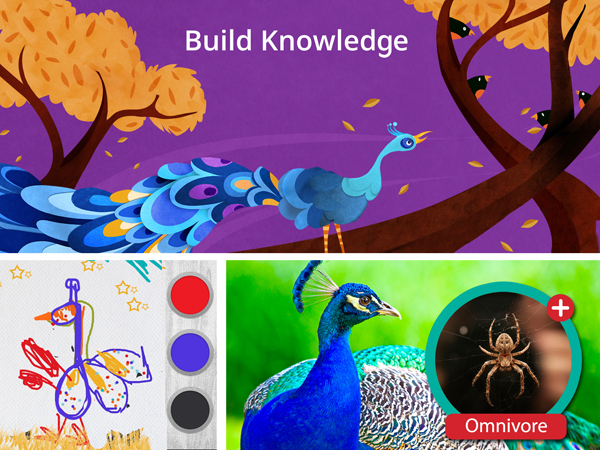 Learn with Homer also has a social sharing component that allows children to draw and record their musings on the content they discover within the app. Those drawings and recordings are then saved to a personal pinboard and can be shared via e-mail or Facebook through the parent website. The website in and of itself is a great parenting tool. It features hundreds of book recommendations, do-it-yourself craft projects and printables, and a parent dashboard to track the child’s progress in the app. Though Learn with Homer is incredible, you can supplement its use with other favorites for encouraging your child to read. Dr. Seuss’s ABC: A favorite of moms, this interactive storybook app helps your child build reading skills while going along with the classic book. Agnitus: This app teaches more than just reading, but it focuses on phonics and English language arts skills, math and shapes and colors. Disney Storytime app: Featuring favorite Disney stories, this app reads to your child, but at his pace and highlights the words as they are read. The app features wonderful illustrations, great sound effects and professional narration. Stephanie Dua is also one of SheKnows’ Experts Among Us. Don’t miss her five tips for building strong readers. Electronic reading devices for kids: Should your kids learn to read on them?